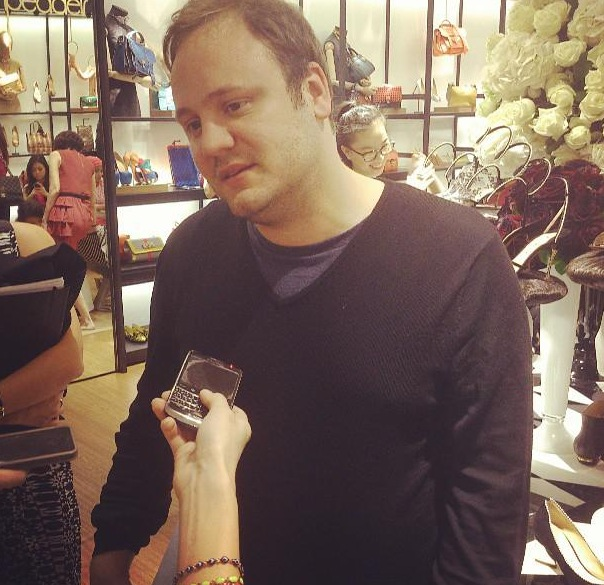 As a self-proclaimed shoe whore, I have my very own list of favorite shoe designers and one of them is Nicholas Kirkwood. I first noticed his amazing works for Rodarte's Spring Summer 2010 collection, yes remember that badass spike steel heels? 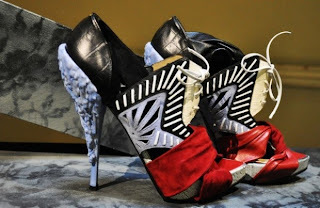 Then his sick design stroke again for Rodarte's Fall 2010-2011 collection in which he created melted wax look-alike heels. I was like, who the hell designed those shoes?! Must be some kind of genius, I bet. So I researched his name and read every articles about him I could find on fashion sites and forums, and that's how I became a die-hard fan since then. Last month, I got a very surprising and exciting news that Nicholas Kirkwood was going to Jakarta to launch his Spring Summer 2012 collection at On Pedder Jakarta. 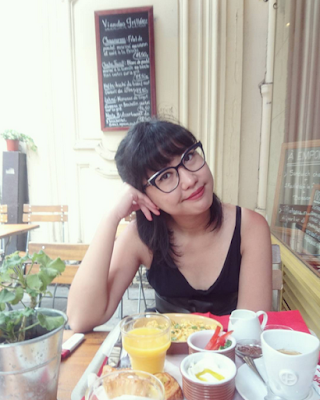 I asked my dearest fellow, Dien Tirto Buwono (the editor-in-chief of Fimela Girl), if I could come with her and actually meet the designer in person and she said yes! Quel joy! I was starstruck when I met him, I could even barely say a single thing at the meet-and-greet session. However, I did managed to have my most favorite Nicholas Kirkwood pair signed by the designer himself and that was one of the best parts of my life. Here are some photos I snatched from Dien Tirto Buwono and Yoland Handoko's instagram (and mine too). By the way, The Outnet is currently having big markdowns on Nicholas Kirkwood shoes. I spotted tons of beautiful pairs being sold for a fraction of price (see the pic above? Those are my picks from the web). If you're size 40 you gotta be lucky to score some pretty great deals. My sizes (37-38) are mostly sold out already. Make sure you don't miss the bargains!